Bloomsburg is a charming town in Pennsylvania along the Susquehanna River. 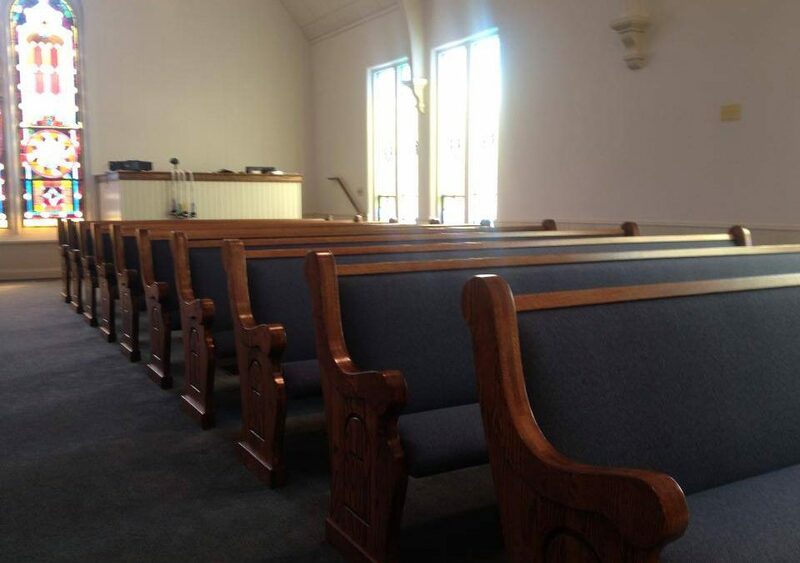 We recently installed new church pews in the Dutch Hill Bible Church in Bloomsburg that match the church’s needs and ideas about what church life should be like. The Dutch Hill Bible Church community is a welcoming one full of celebration in the love of Jesus, so it’s only fitting that their church pews reflect those sentiments of openness and welcomeness. Despite Bloomsburg’s claims to fame, the community is what sets the town apart and a strong one can be found at the Dutch Hill Bible Church. Every Sunday, the congregation gathers together to celebrate God’s love for all of us. They believe that church should be a welcoming place where we lift each other up and know each other as brothers and sisters, working together to know God’s love. 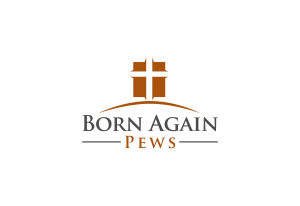 Their goal is to use 1st century Christianity to guide our lives in a 21st century world. We tried to capture all that in their church pews. 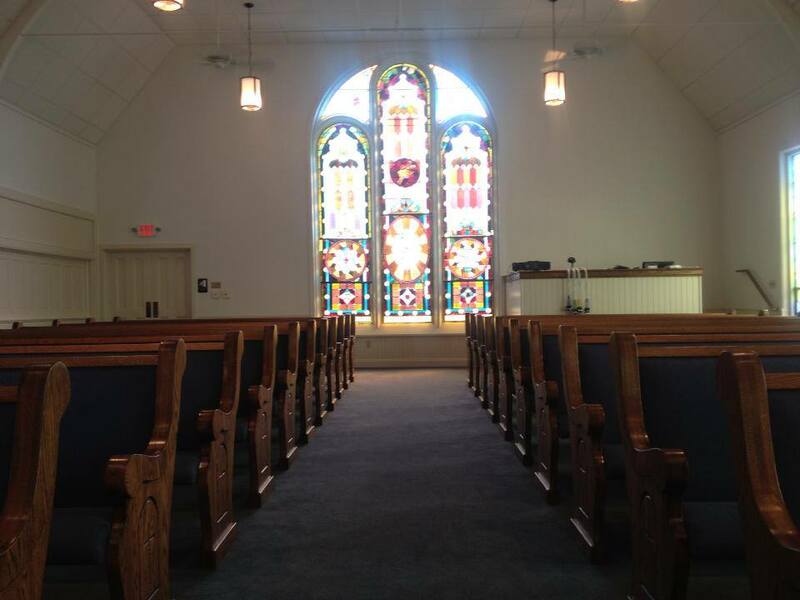 The church pews we installed are contemporary in style but also have touches of more traditional looks. The full length church pew ends give the church enough of a traditional feel to match some of the more traditional aspects of the sanctuary, like the white wood paneling and the beautiful stained glass window at the rear of the church. If the church pews had been built with cantilevered, or floating, church pew ends, it would have looked too contemporary for the church’s features. However, the atmosphere of the church’s worship services, which involves music and the participation of children, wouldn’t suit traditionally styled church pews in white with traditional straight lines. Something more curved and contemporary was in order for the Dutch Hill Bible Church, so we built ones that have lower, curving armrests, lots of welcoming lines, and a darker stain to give it a contemporary look. If your church has unique traditional features but a contemporary worship service, it can be difficult to find common ground between the two ideas in church pews. We’ve found that church pews with a combination of features serve these types of congregations best. Just give us a call to discuss how to combine the two in a way that works for your church.